Euronext Fund Services is a breakthrough solution in the access to the funds universe. This new market segment enables asset managers to easily list open-end funds (non-ETFs) on the exchange and facilitates their access to investors worldwide through their broker, like with other exchange traded products (equities, bonds, ETFs, warrants & certificates, derivatives, etc.). Euronext Fund Services enhances the visibility of the listed funds to a broadened base of international investors (institutional and retail) and provides investors with detailed information on the funds and a broker neutral service for their investment strategy. A safe exchange market model and a post-trade environment under the Euroclear CSD model. Euronext Fund Services offers investors worldwide a primary market/NAV trading platform for mutual funds - UCITs and AIFs - listed on the Euronext Paris and Amsterdam markets. Investors can easily send subscription-redemption orders to a Euronext member broker that will handle the entire order routing procedure, from registration to the fund share class to settlement/delivery. Investors can also choose their funds through our Morningstar fund selection and data tool available on Euronext’s website, specifically customised for Euronext Fund Services, which provides detailed information for free on all tradable funds. This direct and modern access to funds meets the buy-side’s new needs for automated solutions and follows MiFID II regulation by removing retrocessions and enabling investors to leverage an unbiased service from our member brokers. Asset managers can benefit from a safe and efficient exchange environment to quickly list their funds (in 3 business days) and leverage Euronext’s member brokers’ wide investor networks. Their listed funds will enjoy increased visibility by being referenced on our Morningstar fund data tool. The offering consists in a well-established fund service in Amsterdam created in 2007, which enables asset management firms to list funds passported in Amsterdam. 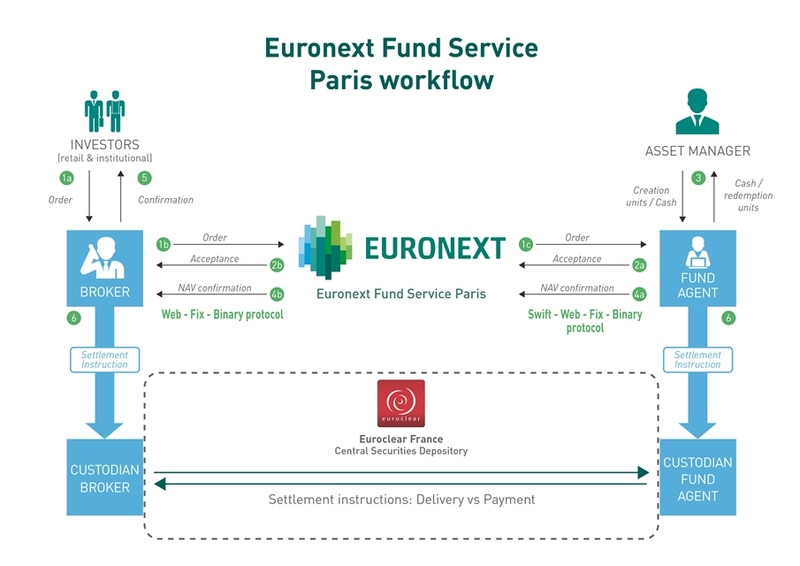 Drawing on this extensive experience, Euronext then created Euronext Fund Service Paris in 2017 to list funds passported in Paris. The Paris service is fully flexible, accepting the admission of all UCITS and AIFs funds from any domiciliation, and accessible for investors around the globe. 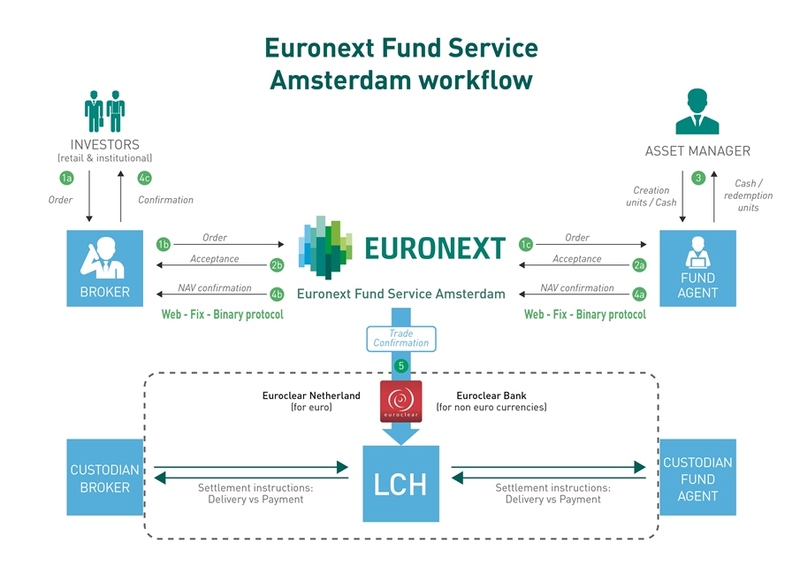 Euronext Fund Service Amsterdam has a CCP (LCH SA) and operates in free currency, with Euro and non-Euro currencies available, while Euronext Fund Service Paris operates exclusively in Euro.